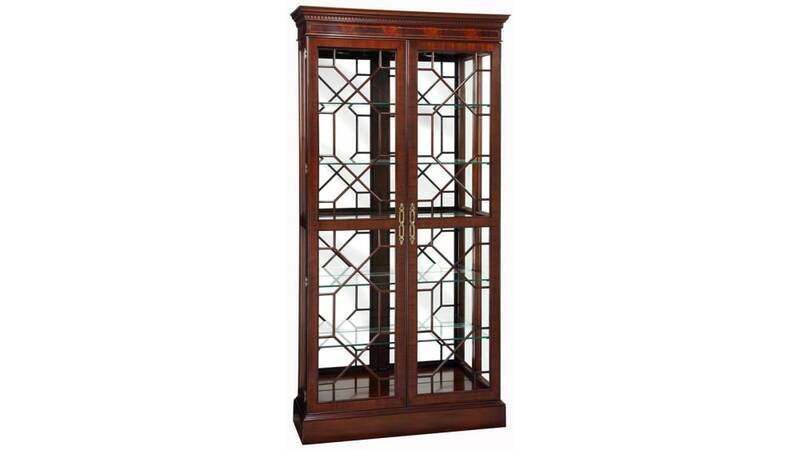 A modern design with classic style, this Display Cabinet features full-length glass doors with wood grilles set into place with hand glazing. With a single fixed shelf located behind the central horizontal door mullion, the rest of the interior glass shelves are adjustable and have plate grooves. Top features dentil molding and a top rail with inlay. Mirrored back and interior light. Built here in the U.S.A. of solid mahogany and mahogany veneers.